Ultimate Practice Schedule + Pre-State Pasta Dinner – Friday, May 29 5:30 to 8:30 p.m.
Congratulations to all of our Seniors on their graduation from high school! We hope everyone had time with their families and friends to remember those special people in our lives this Memorial Day Weekend. We have an exciting week ahead of us with the last week of practice, the Pre-State Pasta Dinner and the Minnesota High School State Championships. Time: 5:30-8:30 p.m. Eating at 5:30, plan to have your food at the park by 5:30 p.m. Plan to pick up your athlete between 8:00 and 8:30 p.m. Location: Waite Park Community Park. The address is 151 – 13th Avenue North in Waite Park and it is located near the Moose Lodge. This is a potluck dinner for the team and coaches. We will need a few parents to help with set-up, chaperoning, and clean-up. 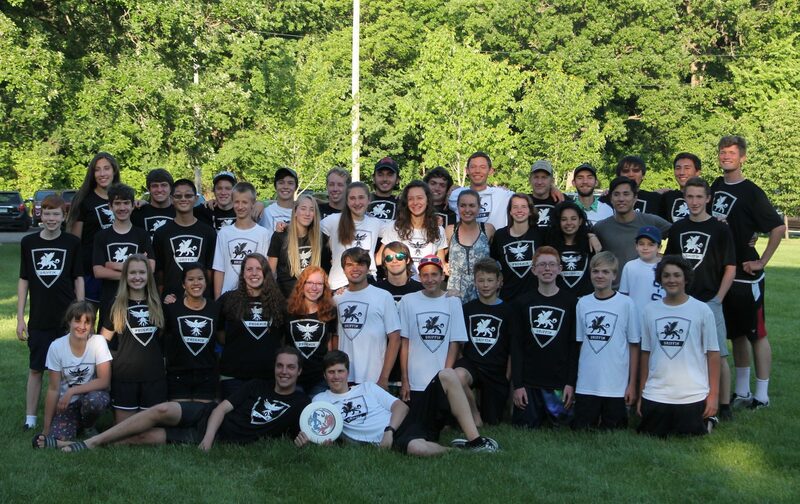 End of Year Ultimate Potluck Picnic: Tuesday, June 2 at 5:30 pm at Wilson Park. The club will be providing the burgers, buns, condiments and paper products. This is a potluck gathering for the team, coaches, families and alumni. We will have dinner, followed by a program. We encourage parents and siblings to be part of the fun, too!